Although the final product of an author’s work is assembled electronically, pen and paper remain important everyday tools. They provide an immediate, accessible facility to record notes, sketches, dialogue and narrative in a structured or unstructured form, regardless of location and power supply. 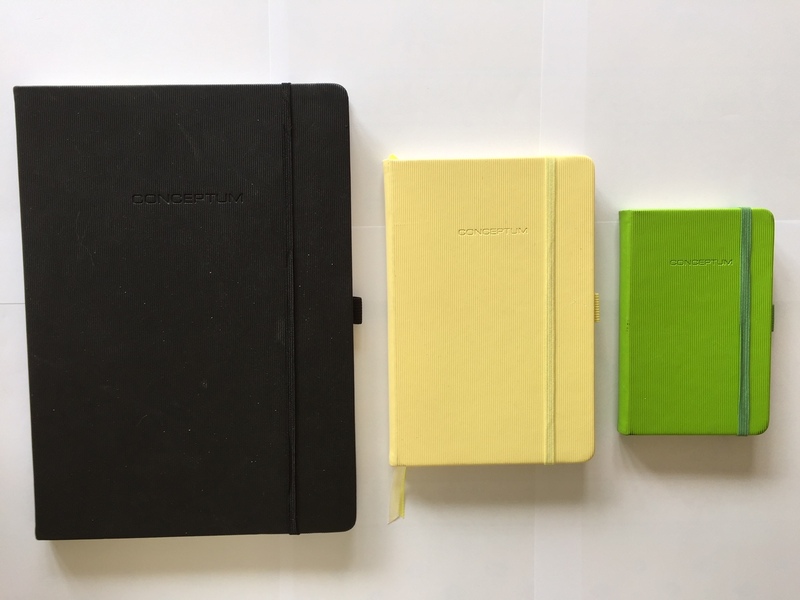 The decision of which notebooks and pens is something not to be taken lightly and can demand much trial and error before deciding on the best personal choice. Here are my own preferences. Archive pocket inside rear cover with a practical card slot for slips of paper, business cards, etc. The numbered pages and provision of an index page makes it easy to file and categorise notes and find them again. I use an A4 blank page notebook for sketches and mind maps, to allow the maximum space for organising thoughts. I find that an A5 notebook is best to dedicate to writing draft passages of whatever book I have in progress, whereas I use an A4 for random passages and ideas for the future. 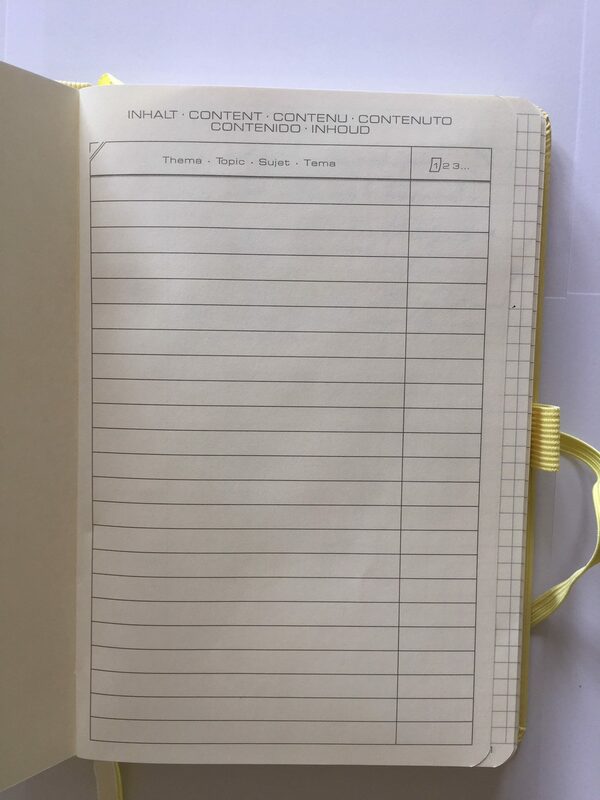 I have an A6 notebook for lists of marketing tasks and ideas. I also have a number of small inexpensive notebooks that will fit into a pocket for when I am out and about. It took me a while to find the ideal pen. I wanted something inexpensive (easily replaced if lost), light and comfortable to hold, with a medium-fine post and legible ink that would not leak into bags or pockets. 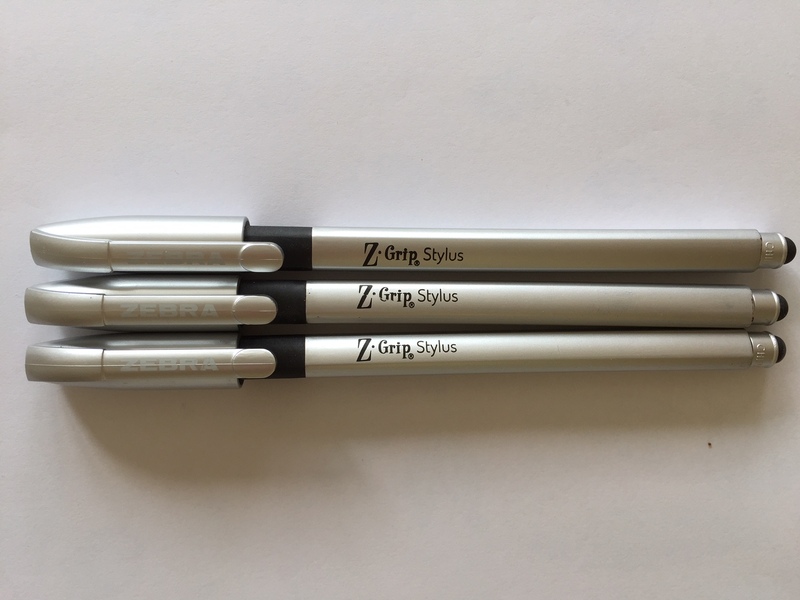 I eventually discovered the Zebra Z Grip Stylus, which meets these requirements. The triangular barrel makes it particularly comfortable to hold. It is available in black or blue ink. Having found the ideal choice of writing materials, I now have no excuse for not getting on with the writing!